A college student from St. Paul won a $1 million Powerball prize using a mobile app that&apos;s been available in Minnesota for less than a month. The New York-based company Jackpocket started offering Minnesota Lottery tickets for purchase through its smartphone app just a few weeks ago. And on Thursday, the Minnesota Lottery revealed that Brandon Stevenson, a 20-year-old Concordia University student, had won $1 million on the Powerball, with Jackpocket saying it was with a ticket bought through its app. Users place their lottery orders through the app, with the company using employees stationed in the Twin Cities to then buy the tickets from a specific retailer. Jackpocket charges users a 7 percent service fee for every ticket bought, which it splits with the retailer selling the ticket, but it doesn&apos;t take any commission from a player&apos;s winnings. Winnings under $600 are immediately credited to the player&apos;s account, but for anything bigger the company will personally deliver the ticket to them so they can then claim it. The Minnesota Lottery says the winning ticket was sold at Mike Zipper’s Fun Merchandise at 61 Winifred St. W. in St. Paul. Follow: You can get the latest BMTN stories on Flipboard. Jackpocket&apos;s introduction into Minnesota a little over two weeks ago sparked controversy among state legislators, the Star Tribune reports, after it emerged the company had entered into a "memorandum of understanding" with the state lottery allowing it to operate in Minnesota. Some lawmakers however suggest this violates state law, saying the Minnesota Lottery must get legislative approval before entering into online sales agreements. 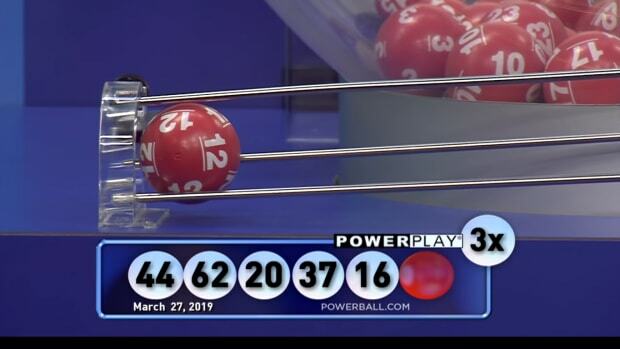 The cash option on the next drawing is an estimated $428.6 million.